Apparently, many in the news media expected the baby to deteriorate and die after meeting the pope, because they are claiming viagra caps no prescription online https://www.levitradosageus24.com/ that this is a miracle. The Produce Report is your window into China's produce market. @Copyright 2015 Produce Report. All rights reserved. The Chilean Blueberry Committee is encouraging consumers to put a fresh blue spin on snacking by choosing Chilean blueberries as a healthy and convenient everyday snack food. 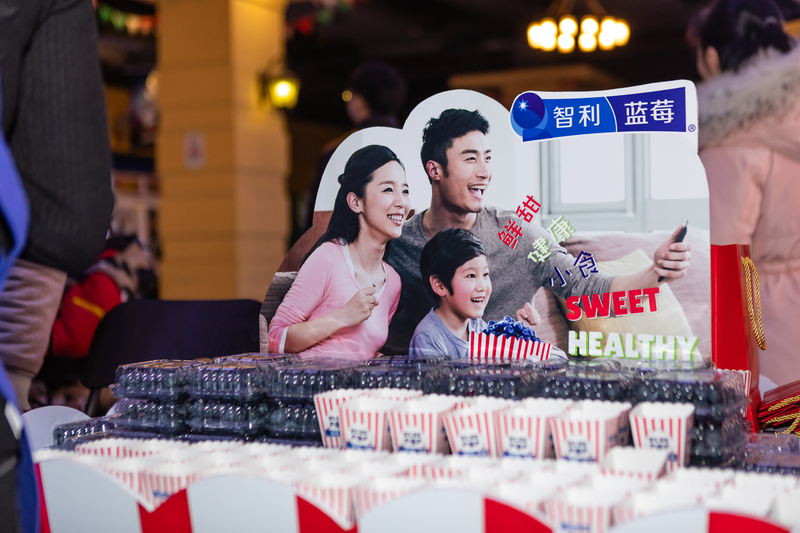 In order to celebrate the 2018/19 Chilean blueberry season and promote regular snacking on fresh blueberries, the Committee today held a "Blue Pop" movie screening in Shanghai, with audience members enjoying striped rectangular boxes filled with fresh Chilean blueberries instead of the traditional popcorn. 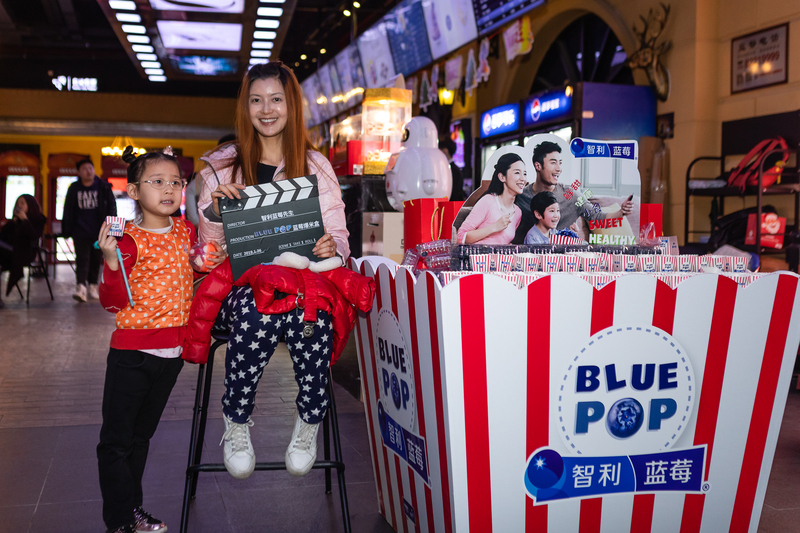 The Blue Pop promotion event was held at Zhonghong Cinema on West Yingao Road in Shanghai and was organized by the Chilean Blueberry Committee, which markets Chilean blueberry exports around the globe under the Blueberries from Chile banner. 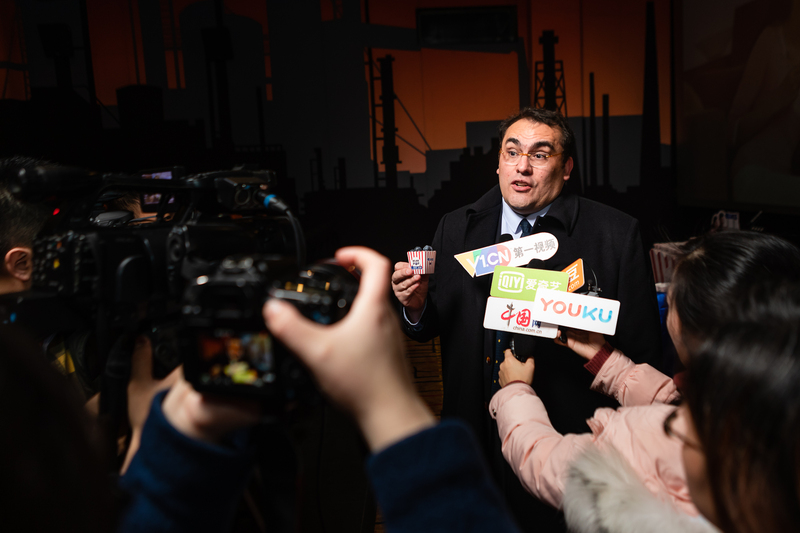 Prior to the screening of the film Young Female Warrior, Blueberries from Chile held a special ceremony in which special guests Juan José Vidal Wood, Trade Commissioner at the Shanghai office of ProChile and Charif Christian Carvajal, Marketing Director, Europe and Asia, at ASOEX delivered remarks and answered questions from the media. The blueberry season is in full swing right now in Chile, which produces fruit counter-seasonally to northern hemisphere countries. Chilean exports of fresh blueberries to the world hit an all-time record in the 2017/18 season of over 145,000 tons, with 110,400 tons of fresh blueberries and 35,000 tons of frozen blueberries. The total value of the fresh segment was $548 million, and 9,700 tons of fresh blueberries were shipped to ports across China by both air and sea. By the second week of January this year, Chile had exported 66,302 tons of fresh blueberries, an increase of 6% compared to total exports reached by the same time last year. "Chile produces more blueberries than any other southern hemisphere country," said Juan José Vidal Wood of ProChile. "And Chilean fruit growers are world-class, with advanced growing techniques, high-tech sorting and packing facilities, and state-of-the art shipping methods. This means we can deliver fruits such as blueberries halfway around the globe to the doorsteps of consumers in China in a state of perfect freshness, just in time for demand for our Chilean fruits to reach its peak in the few weeks just before the New Year." 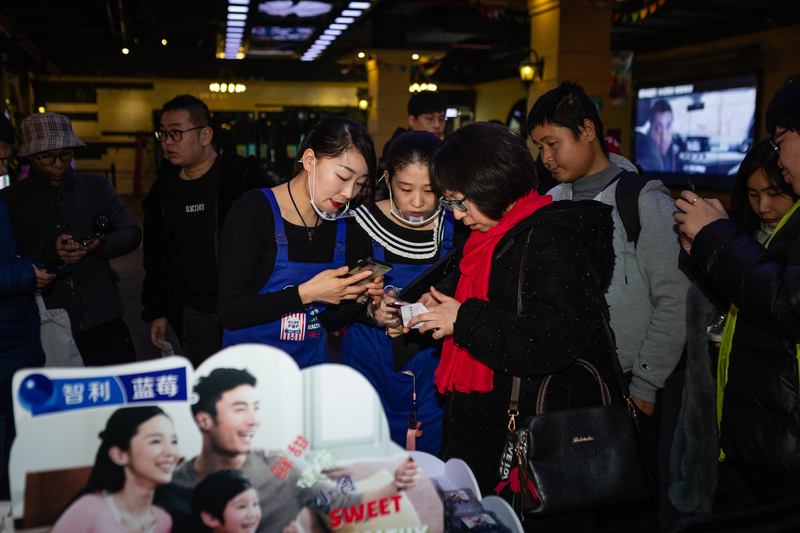 While blueberries have for many years been gaining popularity among consumers as a Spring Festival gift, Blueberries from Chile is this season reminding consumers in China that blueberries aren't just for Spring Festival. "Chilean blueberries make a great snack choice anytime, anywhere," said Charif Christian Carvajal of the Chilean Fruit Exporters Association (ASOEX). "They're sold in convenient clamshell packaging that fits easily in your gym bag, purse or office desk drawer. 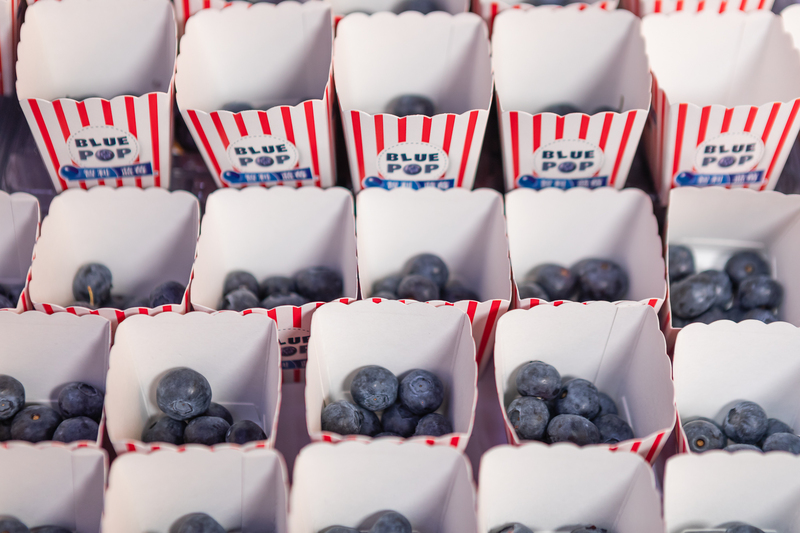 Besides their totally sweet and unique flavor, blueberries are also a healthier alternative to other snacks. Blueberries contain vitamin C, fiber, flavonoids and other essential nutrients. Plus, they're naturally fat free. And our industry in Chile has an ongoing commitment to finding new and better varieties of blueberry to provide an outstanding consumer experience in terms of flavor, size, and texture." Blueberries are sometimes called a “superfood” because they have such a high concentration of nutrients and are high in antioxidants. Availability of fresh Chilean blueberries in China runs each year from roughly November to March. Frozen blueberries, which account for about 30% of Chile's total export volume, are available year-round. In coming years, research and development of new technologies for growing, harvesting, packing and shipping will continue to expand the global market for Chilean blueberries. ©2017 Produce Report. Site design by Nick Merrill.